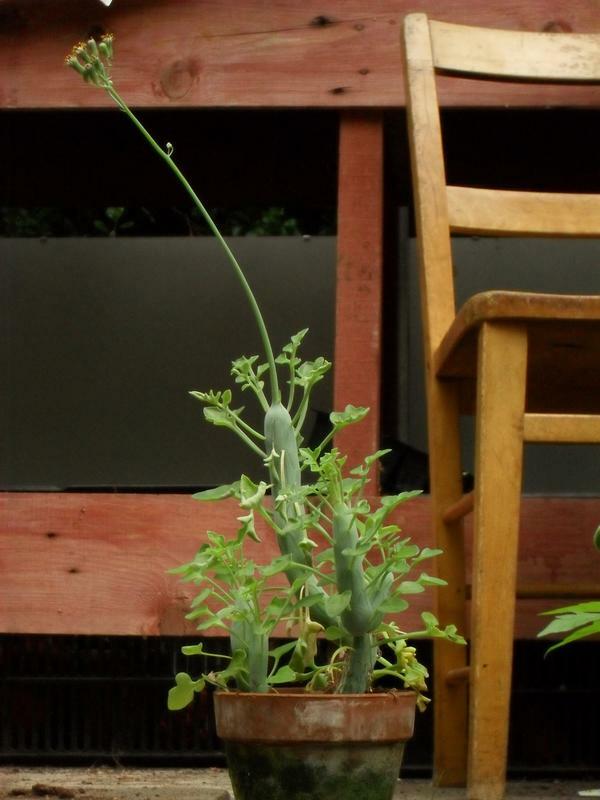 From plants in the chemistry room, I propagated this: This succulent looses it's leaves in winter. Its small flowers stink of excriment. The leaves taste salty. When it has finished flowering the heads produce clocks like a dandelion does. It is fragile.